Colección de fotografía antigua: Links. William P. Gottlieb Collection. Library of Congress. Jazz. Links. William P. Gottlieb Collection. Library of Congress. Jazz. In 1995 this collection was purchased with financial support from the Ira and Leonore S. Gershwin Fund. 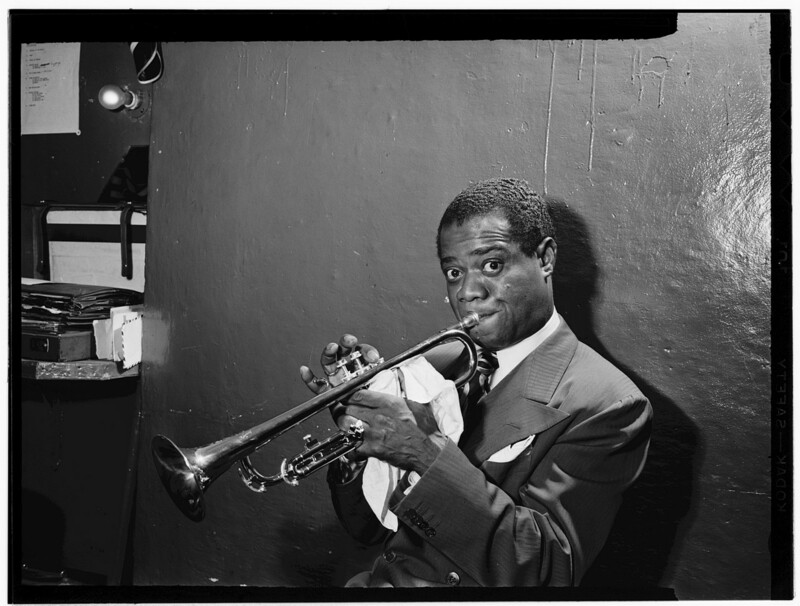 The collection consists of jazz photographs taken by writer-photographer William P. Gottlieb, from 1938 to 1948, the "Golden Age of Jazz" when swing reached its peak and modern jazz developed. While on assignment for the Washington Post, Down Beat magazine, and Record Changer, Gottlieb photographed and interviewed jazz pioneers primarily in Washington, D.C., and New York City. A skilled craftsman, the self-taught photographer captured the personalities of jazz musicians in a sensitive, storytelling manner. The collection is an important contribution to the documentation of American culture during a time when jazz music thrived. Gottlieb's photographs are perhaps the most widely reproduced images of jazz musicians, such as Louis Armstrong, Duke Ellington, Charlie Parker, Billie Holiday, Dizzy Gillespie, Earl Hines, Thelonious Monk, Stan Kenton, Ray McKinley, Benny Goodman, Coleman Hawkins, Ella Fitzgerald, and Benny Carter.